1U rackmount network communication appliance featuring 6th generation Intel® Core™ or Intel® Xeon® processor E3-1200, and Intel® Q170 or C236 chipset, up to 64GB DDR4 ECC/non-ECC memory, expansion via 1x PCIe Gen3 x8 for Portwell NIP and 1x standard low-profile add-on card, dual console, dual BIOS (optional), up to 16x GbE ports and 4x SFP. and 2x bypass segments. 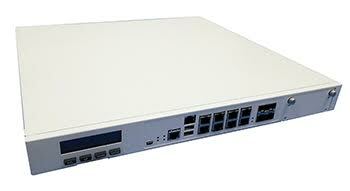 Ideal platform for Internet Security, Email Server, Access Control, and Unified Threat Management.